Galveston Island has become a top destination for haunted travel and is host three ghost/cemetery tours and a year-round haunted house. But during the month of October, an optimum time for thrill-seekers to visit, haunted harbor tours, ghost tour dinners and more are on the calendar. This year, the Galveston Historical Foundation (GHF) is offering Haunted Harbor Tours aboard the Seagull II on Oct. 23, 24, 25, 29, 30 and 31. 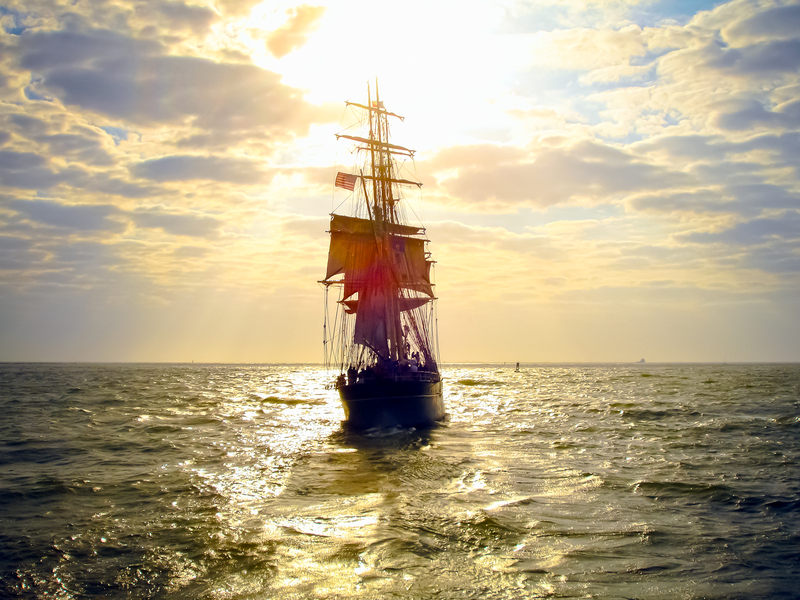 GHF also added a “Tales for The Ship” tour aboard the 1877 Tall Ship ELISSA at Pier 21 and Ghost Tours at Ashton Villa both on Oct. 30. On Halloween, guests can enjoy a “You’re History” Dinner at the 1859 Ashton Villa as Murder Mystery Texas entertains guests during a scripted dinner event. For information, visit www.galvestonhistory.org. The Seagull II and ELISSA are a short walk from The Tremont House, A Wyndham Grand® Hotel, located in the heart of The Strand Historic District. Nationally recognized paranormal expert Dash Beardsley leads the Original Ghost Tour on The Strand, which includes a stop at The Tremont House, offers a Secret Society Cemetery Tour, Restless Spirits Tour, and Jack the Ripper Mystery Island Tour for ghost enthusiasts. For tickets, visit www.ghosttoursofgalvestonisland.com. Haunted Mayfield Manor, which is a block away from The Tremont House, is housed in an 1867 building that served as a morgue after the 1900 Storm. For details, visit www.hauntedmayfieldmanor.com. Other tour options include Galveston Cemetery Tours, www.galvestoncemeterytours.com, and Galveston Graveyard Tours, www.galvestongraveyardtours.com. The Tremont House, A Wyndham Grand® Hotel, has had its own reports of ghostly activity by guests and employees. Occasionally, guests will post experiences on guest reviews and share with staff but the hotel does not offer a ghost tour at this time. The hotel’s sister property Hotel Galvez & Spa®, A Wyndham Grand® Hotel, is offering a public ghost tour accompanied by a three-course dinner for $40 per person on Wednesdays and Thursdays as well as on Sunday as part of an overnight package. During the one-hour tour, the Hotel Galvez concierge will guide guests through the historic hotel’s ghostly past using popular ghost hunting tools to conduct a paranormal investigation. The “Ghosts of the Galvez” overnight package, which includes the ghost tour and dinner and a deluxe guest room, is offered on Wednesdays, Thursdays and Sundays in October. This year, the hotel has added a special Halloween Night Ghost Package to celebrate the haunted holiday. For reservations, visit www.hotelgalvez.com. The Tremont House, A Wyndham Grand® Hotel, is owned by the Cynthia and George Mitchell family as part of Mitchell Historic Properties. The Tremont House is a 119-room boutique style hotel located in the heart of The Strand National Historic Landmark District and Galveston’s Downtown Cultural Arts District. This historic hotel features 14,000 sq. ft. of meeting space, a bistro-style café, fitness center and two bars for entertainment – the 1888 Toujouse Bar and The Rooftop Bar. For reservations, call (409) 763-0300 or visit www.TheTremontHouse.com. Wyndham Hotels and Resorts, LLC, a subsidiary of Wyndham Worldwide Corporation (NYSE: WYN), offers upscale hotel and resort accommodations at more than 170 properties throughout the United States, Canada, Mexico, Central and South America, the Caribbean, Europe, the Middle East and China. All Wyndham® hotels are either franchised by Wyndham Hotels and Resorts, LLC or managed by Wyndham Hotel Management, Inc., or one of its affiliates. Additional information and reservations for all Wyndham hotels are available by visiting www.wyndham.com. Wyndham Grand® Hotels and Resorts are an ensemble of distinguished hotels within the Wyndham Hotels and Resorts® brand that represent one-of-a-kind experiences in key destinations with refined accommodation, attentive service and relaxed surroundings. For more information, visit www.wyndhamgrand.com. Galveston Island is a historic beach town located on the Gulf of Mexico just 50 miles from Houston. The island offers 32 miles of beaches, a variety of family attractions, one of the largest and well-preserved concentrations of Victorian architecture in the country, and Texas’ premier cruise port. For more information on Galveston Island visit www.galveston.com or call 1-888-GAL-ISLE. The 1877 Tall Ship Elissa, docked at Pier 21, will host a "Tales for the Ship" tour in October. Photo courtesy of the Galveston Convention & Visitors Bureau. 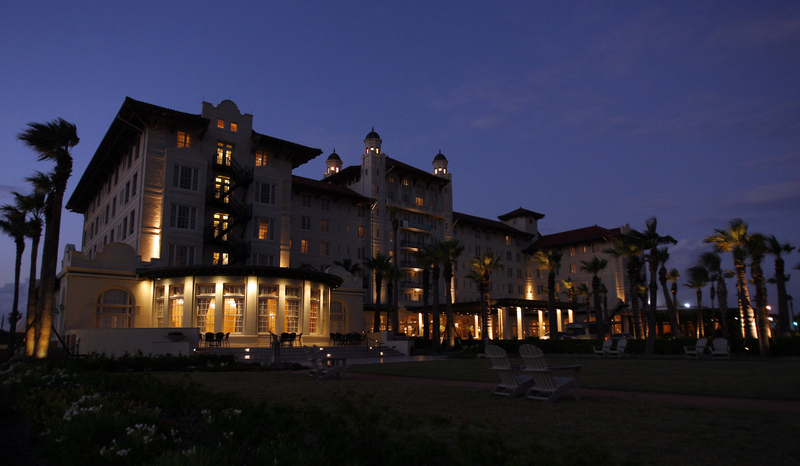 Hotel Galvez is known for being a haunted hotel. The hotel offers public ghost tour dinners during the month of October.